I know you’re working your buns off to get your Giving Tuesday campaign off the ground and preparing to make this end of year giving season your best yet. I know it feels like December 31st is that magical day when all the hard work ends. The point when you can celebrate your wins and learn from your losses. And I really, REALLY hate to be the one to tell you this, but the work doesn’t stop there. The end of year ask is really just the “sell” to gather your community to give at a particular time. Ideally, you’ll be stewarding your donors all year, so the end of year ask doesn’t feel like a big push. So, what exactly does that look like? Once December 31st comes around and you’ve had the incredibly successful campaign your nonprofit deserves, let’s say you take some well-earned time off to celebrate, relax and you come back to work around January 7th. (Can you tell I like to get specific?) One question remains- now what? 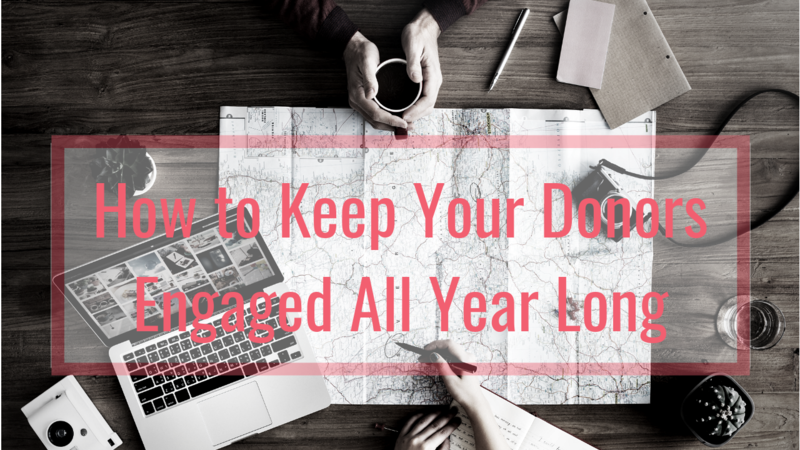 How are you going to keep your donors engaged and enthusiastic about continuing to give throughout the next year and into the next giving season? How are you going to get your donors to increase their gift size? How are you going to prevent your annual appeal letter from feeling like an annual invoice? I’ve found that using what I call a “donor road map” is really helpful in keeping me on track with donor stewardship. My road map ensures that I make all the appropriate touch points throughout the year. This road map is set up for you to make another ask within 6 months. But, depending on the number of appeals your organization does each year, you can speed up this process or slow it down. 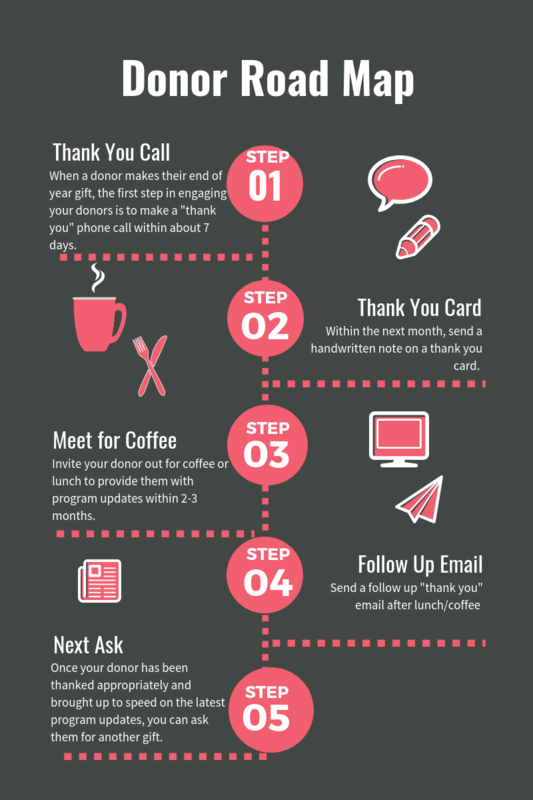 The main point to remember here is that you want to make sure your donors are properly thanked without getting an ask. Once they are adequately acknowledged, then you want to ensure they have the latest program updates. Once your donors have been thanked and updated, you can make another ask and you’ll start back at the top from step one. This is a technique that has worked well for me. Do you use another method? I’d love to know!